Posted on October 31, 2018 by Eleanor P.
Holidays. Is there anyone who doesn’t like them? As the year comes to an end, we start to contemplate about what we had done during the past year. For better, or for worse, this year is nearing its end. This also means that the holiday season is just around the corner. Its vanguard, the most fun of all holidays, the Halloween is here. The fall is the most magical of all seasons and it is no wonder that Halloween is at the end of October. The costumes, the trick-or-treating and all the laughs and frights that go with it are really something special. Haunted houses are again very popular, and scaring your siblings for some reason is not such a big deal all of a sudden. This is how things are across the United States and Florida is no exception. So, what are the most popular Halloween celebrations in Florida? If you are looking for a family-friendly Halloween event, that you should look no further than Disney’s special annual event, the Mickey’s-not-so-scary Halloween Party! You can laugh and get frightened at the Hocus Pocus celebration. If you go to the Happy Hallo Wishes Fireworks show, you can even sing along. There is also the Halloween parade with costumed characters. Now, don’t forget that Disney owns not just Mickey and friends, but also Star Wars, Pirates of the Caribbean, and Marvel’s characters. This means that you could potentially see Mickey, Dart Vader, Chewbacca, Jack Sparrow (Captain! Jack Sparrow), Thor and Thanos walking side by side, strutting all around the place. Still, tradition is also very important here. That’s why throughout the park kids can run around trick-or-treating. 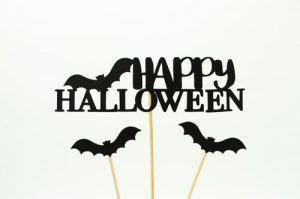 Running around the place, kids can get candles and huge amounts of snacks while enjoying one of the most popular Halloween celebrations in Florida. And if you just moved here – attending a great Halloween event will help you adjust faster into your new community. Without any questions, A Petrified Forest ScareTrail is among the most popular Halloween celebrations in Florida, more precisely in Altamonte Springs. The reason for such good ratings is quite simple. It is the great level of scariness that completely charms the visitors. The haunted scary outdoor trails are organized perfectly and it really is something special to try and pass these trails. The Total Eclipse is not for those with a faint heart. At the beginning of this program, you get a glowing stick (just one!). 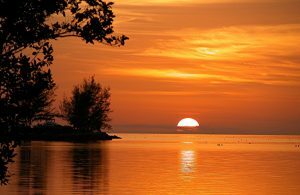 If during the path a creature takes it away from your, then you will have to do your best without it, since you are not getting another one. Still, there are also some family-friendly activities like during the Kids Day. They can go there for trick or treating, arts, crafts, and a bounce house. Petrified Forest Scare Trail is really worthy of seeing live. If you are moving to Florida or have moved here already, come here because this is one of the best Halloween celebrations in Florida. Scream-A-Geddon horror park in Dade City is for those really big Halloween fans. There are several major attractions here, and each is better than the previous one. The first one is the new Infected: Ground Zero which provides a fully immersive experience. Next one is the Blackpool Prison, full of horrible murderers and other scary criminals, and of course, there is Bedlam 3d which will guarantee a horrifying psychedelic trip. When you are done getting scared, you can always go for some action and adrenalin-fuelled terror at Monster Midway. There you can find yourself some good domestic ale. Other things to do here are eating grilled food and playing Zombie Paintball games. Are you looking for someone to share in a gothic horror adventure? Look no further than the Howl-O-Scream! This is one really scary path to thread. These Busch Gardens’ haunted houses were made to be terrifying and they are definitely succeeding in it. Violence, gore, screams, and cries will make your blood boil and hands shake! There are also several park rides opened, the best of them being the Falcon’s Fury. Some areas are even age-restricted, so if you want to be truly scared, don’t hesitate and come here. One of the greatest things about Halloween is that people can dress up and for at least one night a year be somebody else, be something else. Among the most popular creatures portrayed during the Halloween, holiday is the undead, especially the zombies. If you like the Walking Dead show and series and movies of similar focus, this is the right place for you! Come here, to Anheuser-Busch Brewery in Jacksonville, the Haunted Brewery Zombie Hunt is something you will want to see. Another of options here is famous apocalyptic zombie hunt. However, this is a zombie hunt, so you won’t be able to survive alone. You will need to put together a team of your friends if you are to make it because there will be about 40 laser tag zombies. Besides the haunted brewery, other forms of entertainment, food, and a paintball zombie shoot practice range are available. Which is the best of the best Halloween celebrations in Florida? 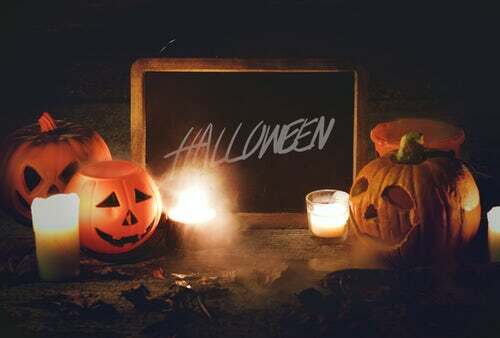 Halloween is a very special night and you are right to want to spend it somewhere special. 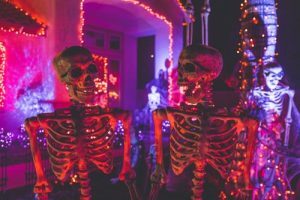 There are many options in Florida and we did our best to find the best of the best Halloween celebrations here. What you should do is think carefully what do you want to do exactly during the Halloween and then choose the option that suits you the best. You made the right choice by moving to Florida. Life is great here, and there are many options here for pretty much whatever interests you. In case you are still thinking about moving here, and are looking for some good interstate Florida movers, bear in mind that there are many moving companies here so you will have to choose carefully.